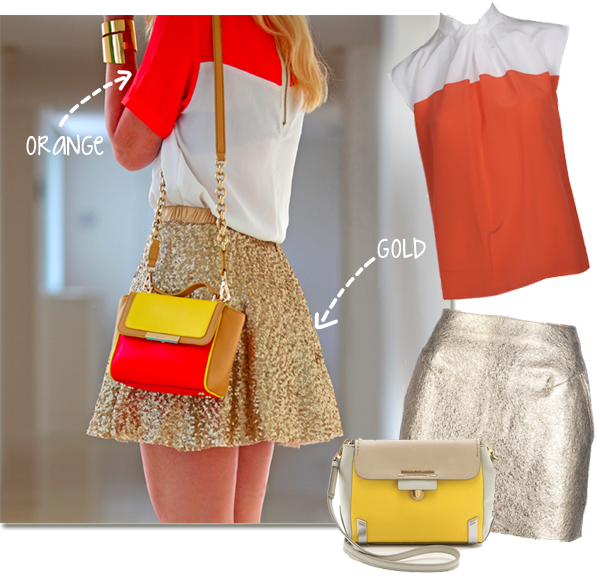 When I saw this post from Brooklyn Blonde I couldn't believe I never thought about pairing gold and orange together. I had such a DUH moment. I love how Helena was able to effortlessly take the sequin skirt to a day time look. Being that a. I'm not brave enough to pull out a sequin skirt during the day b. I don't have a gold sequin skirt...I rummaged through my draw to find my gold Urban Outfitters skirt that I had for years. Along with finding my Joe Fresh orange striped shirt that is comparable to Helena's top to pull of the orange and gold look myself. These two colors might not be in everyone's wardrobe but it's worth giving it a whirl. Plus, these two colors on their own are perfect summer colors...together it's just the epitome of summer! What do you think of the orange and gold combo? Helena is one of my favorite songs! And I do love the combo, although I have neither color in my closet- yet! Good-Bye Google Reader. Hello Bloglovin'.